Mechanical failure traffic accidents in California are still a major problem. On the road, safety is critical. While distracted driving, human error and intoxication cause a considerable number of traffic accidents, mechanical failure is equally dangerous. 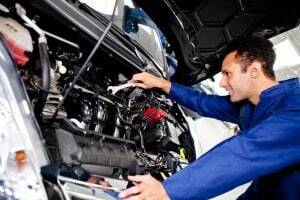 All drivers have a duty to maintain their vehicles as well as all mechanical parts and safety devices. A tire blowout or faulty turn signal isn’t an unforeseeable condition. Drivers can prevent these issues by inspecting their cars regularly and performing recommended maintenance. Commercial drivers and companies that transport goods also have a duty to maintain and inspect their trucks. Motorists who fail to keep their vehicles in good working order should be held responsible for property damage, injuries and any fatalities resulting from their negligence. Federal statistics show that mechanical failure plays a role in 12 percent of all motor vehicle accidents. A recent study led by the Department of Transportation found that brake-related issues are especially common in accidents that involve large trucks and semis. In nearly one-third of truck accidents, brake failure, improper brake adjustments and other braking issues were causative factors. These are some of the most common issues in car and truck accidents that were caused by equipment failure. Safety inspections are in place to prevent accidents and grievous injuries. One broken brake light or turn signal can lead to a serious collision. Fortunately, commercial drivers are instructed to check all lights daily. However, many motorists don’t use the same care. Even with regular maintenance, it’s possible for a tie rod or critical component to fail. According to the California Highway Patrol’s Annual Report of Fatal and Injury Motor Vehicle Traffic Collisions, defective lights cause 51 injury crashes and two fatalities per year on average. Defective brakes cause 36 injury crashes annually. More than 90 injury crashes and 2.4 fatalities are attributed to other equipment failures. In accidents caused by commercial truck drivers in California, equipment failure is responsible for 12 injury crashes each year. Any driver or trucking company that fails to maintain equipment can be held liable for their negligence at trial. To win a case, your personal injury attorney needs to prove three things. Determining who is responsible for your injuries is a key part of developing a personal injury case. In many instances, the driver is responsible for not maintaining the vehicle. If you’re dealing with a truck driver, the company that owns or leases the truck may be responsible. Companies and workers who load trucks share responsibility when the cargo shifts or when the weight is distributed so that the truck cannot stop or steer correctly. It’s also possible that the mechanic who worked on the vehicle didn’t perform the job properly. Frequently, trucking companies don’t want to be held responsible and will try to blame a third-party for the accident. That’s why it’s important to have a qualified personal injury lawyer who will investigate the cause of the traffic accident and secure records that establish fault. Occasionally, manufacturers are responsible for equipment failures. Some companies endanger the lives of their customers and other motorists by knowingly selling defective equipment. Millions of people have been affected by dangerous automotive parts. For example, more than 1.6 million vehicles manufactured by General Motors were recalled due to faulty ignition switches that were used between 1997 and 2011. Previously, Toyota recalled 2.3 million cars that had sticky accelerator pedals. In that case, the company knowingly concealed the problem and endangered the public. Firestone was responsible for one of the largest tire recalls in history. More than 6.5 million tires were recalled, including 2.8 million that were installed on Ford vehicles. Each of these controversial recalls resulted in billion dollar settlements.